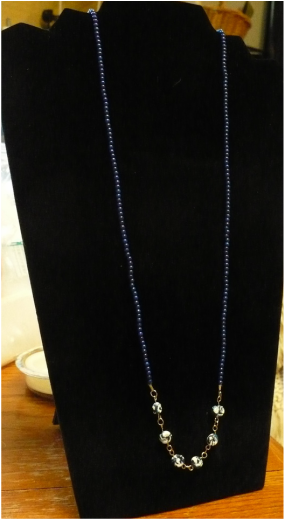 Blue and White flat beads on a long blue seed bead strand! 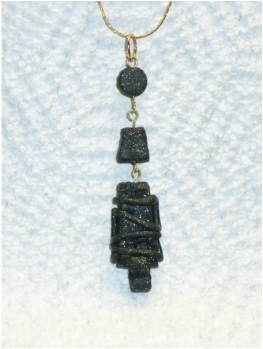 Black with gold glitter Geometric! 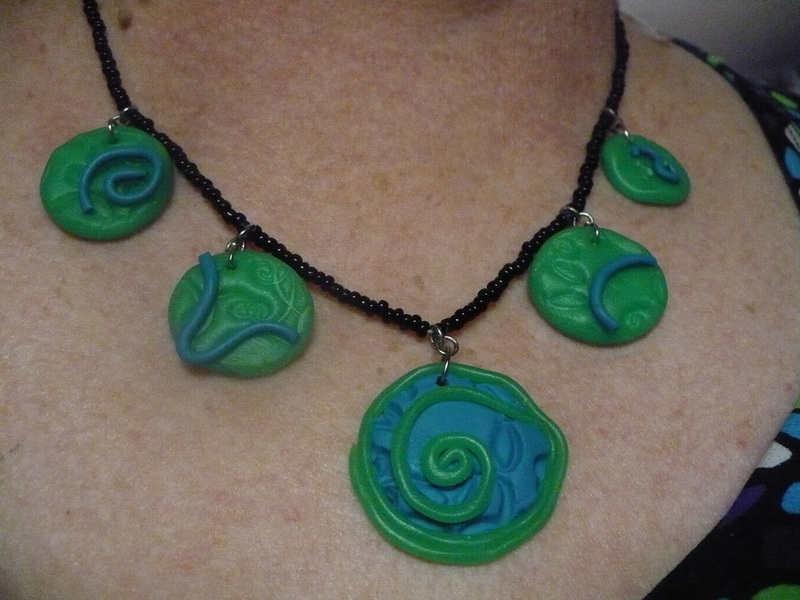 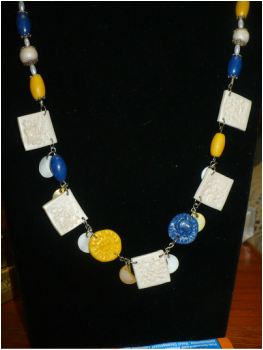 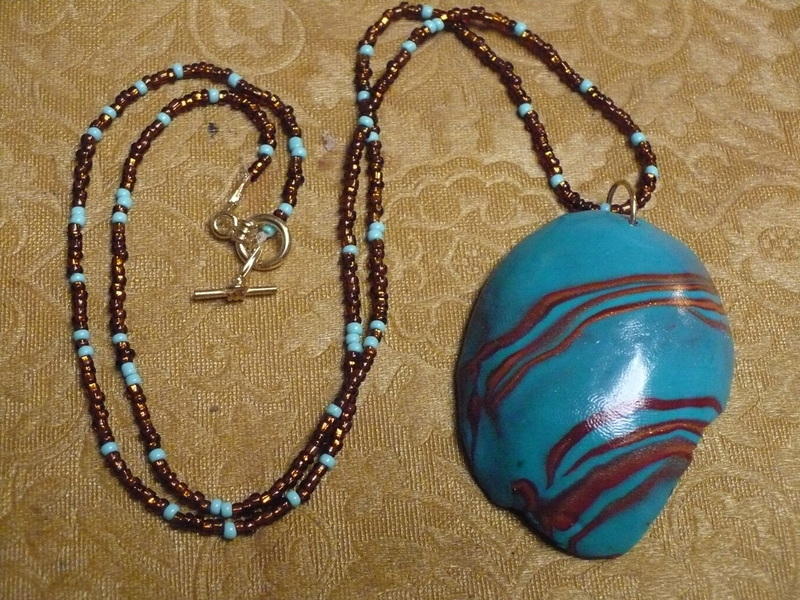 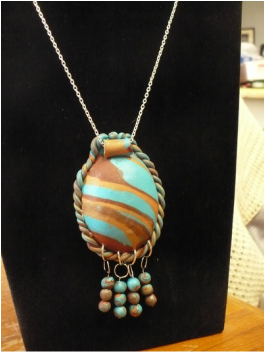 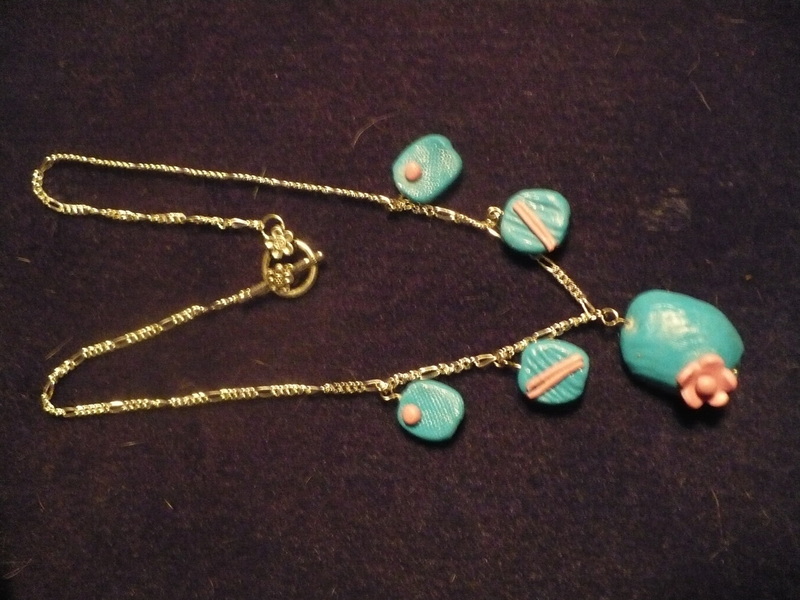 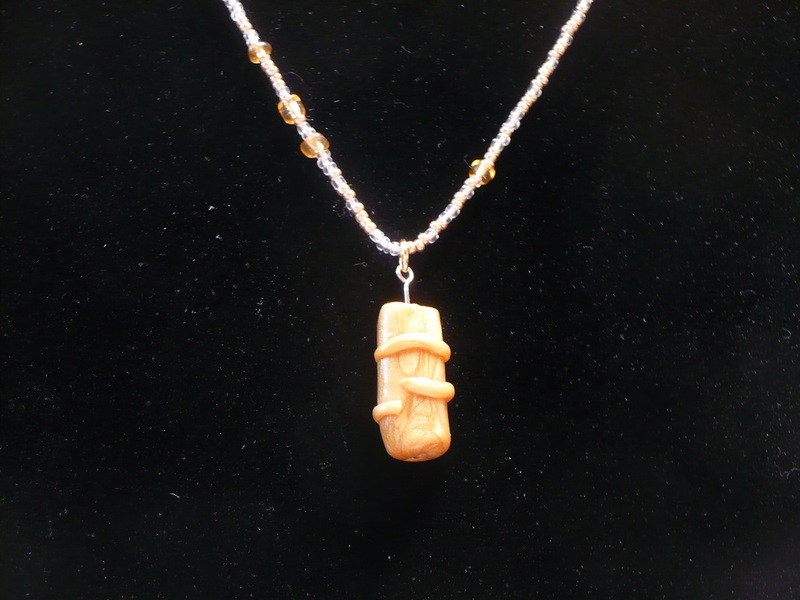 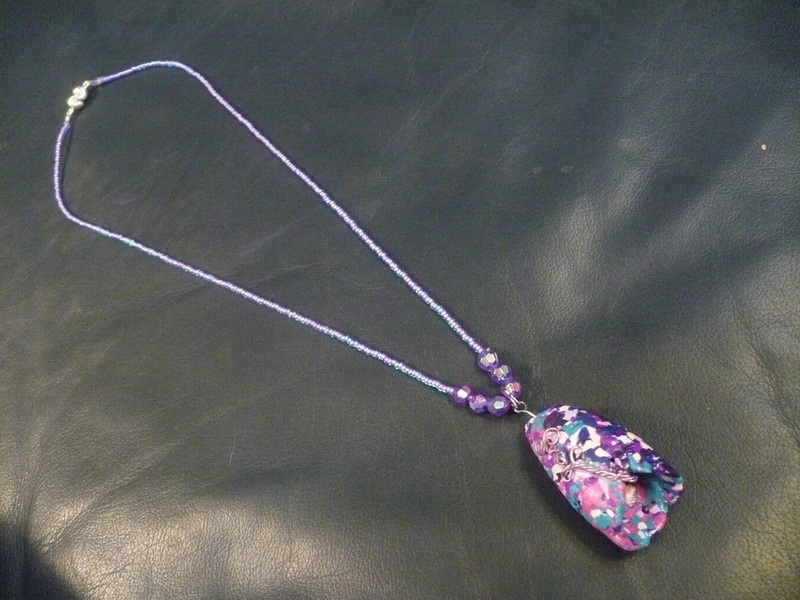 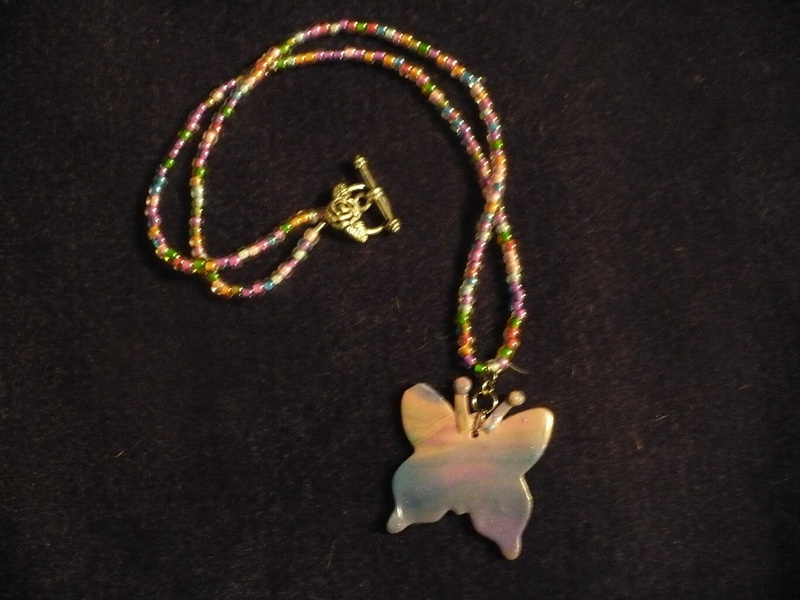 Necklaces made from Polymer clay are first. 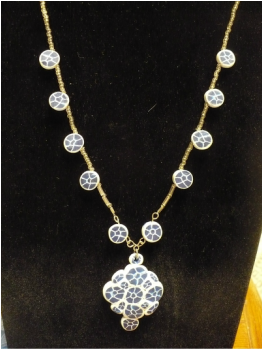 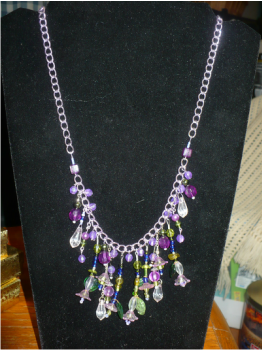 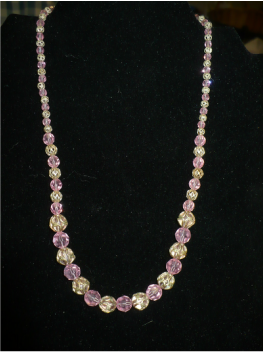 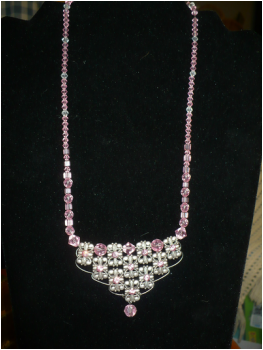 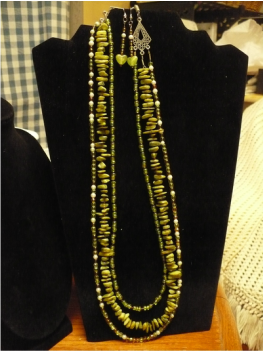 Most necklaces with chains or seed bead strings can be adjusted for length. 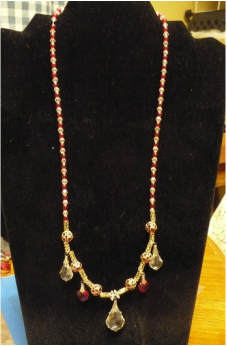 Please contact "wagnersisters" for assistance or questions. 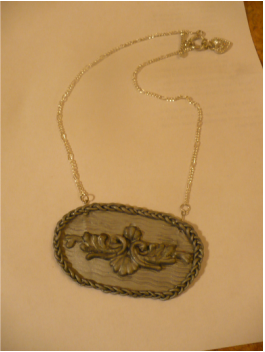 Silver Motif Medallion, with braided border. 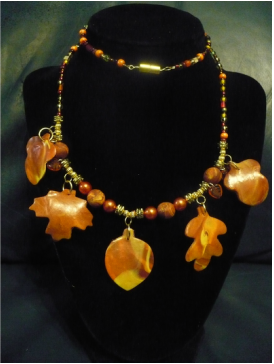 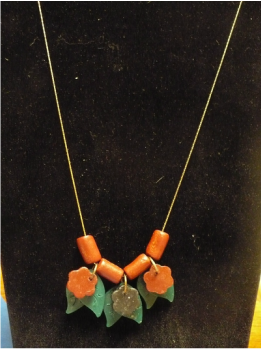 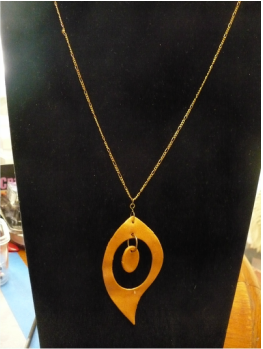 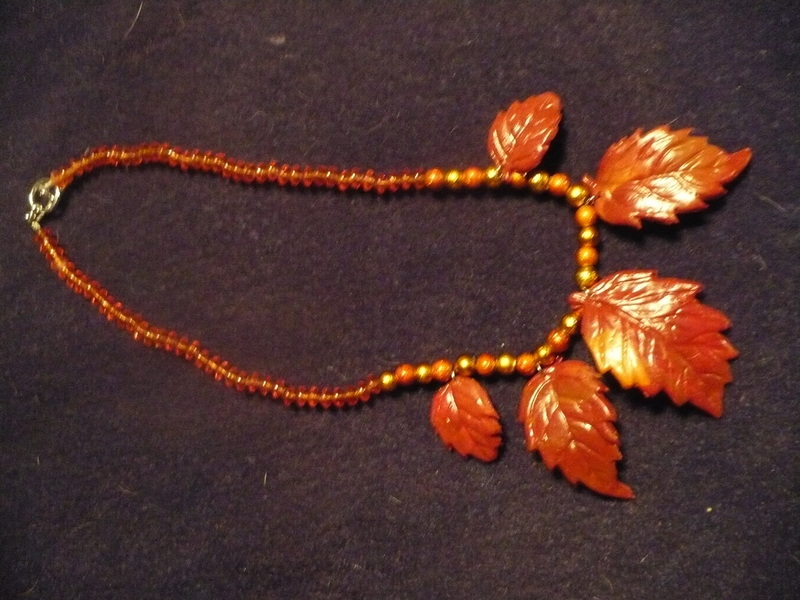 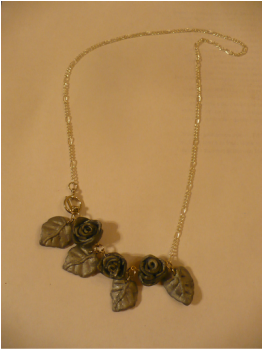 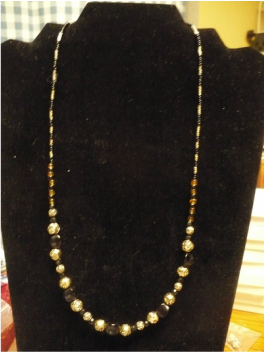 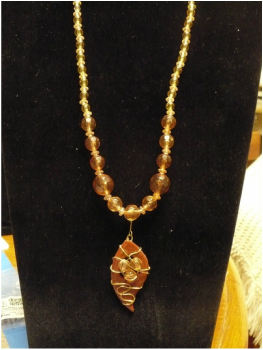 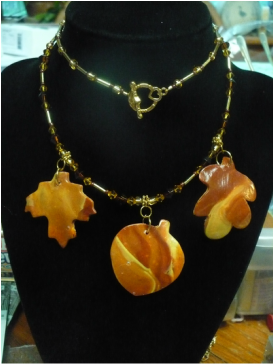 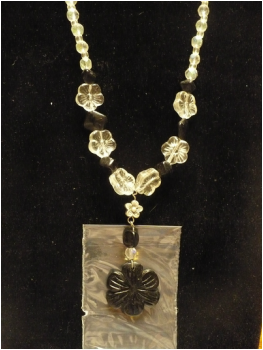 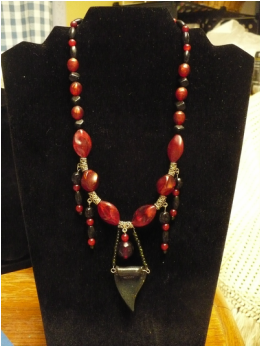 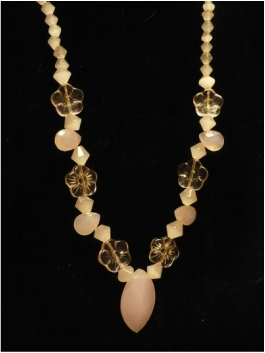 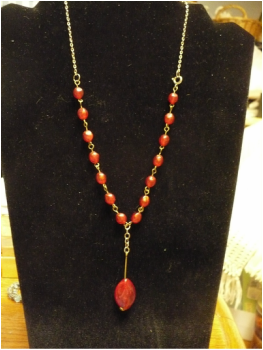 Three Leaves of Fall - necklace, $22.00. 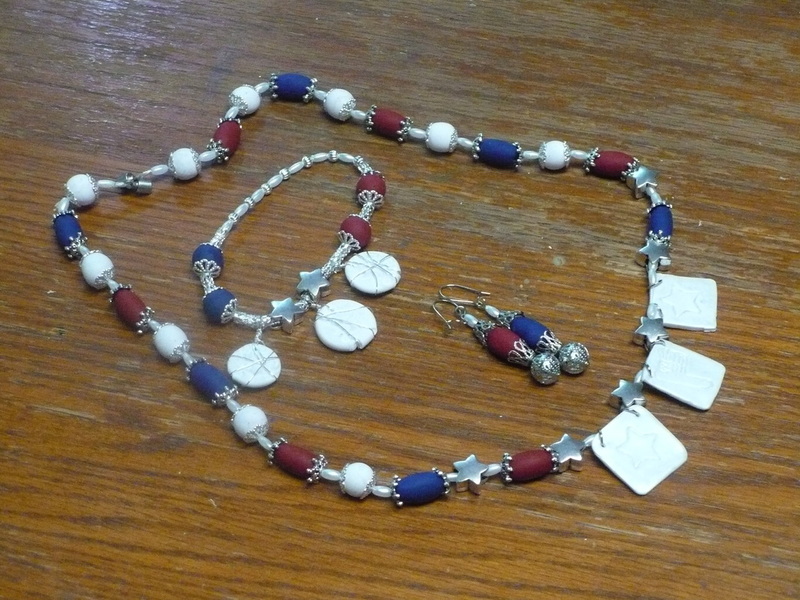 Oh, America! 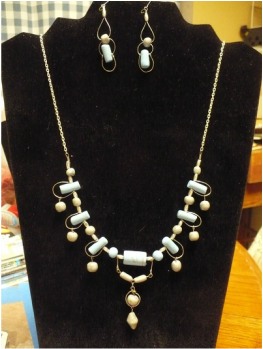 set $50.00. 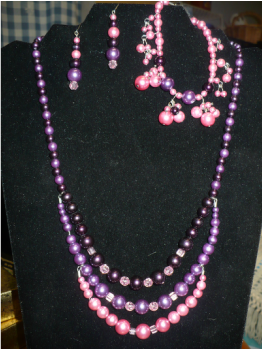 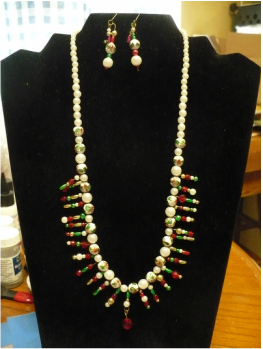 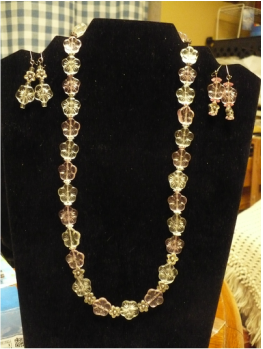 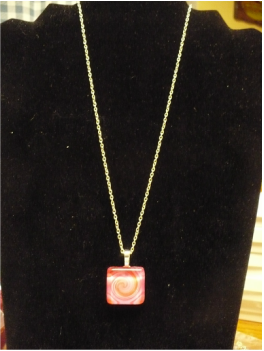 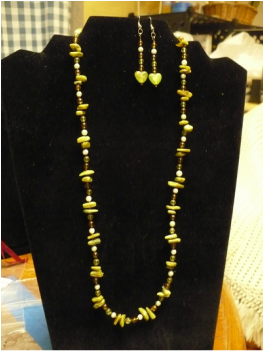 Individually: Necklace - $35.00; Bracelet - $15.00; Earrings - $12.00.